Why Don't the Rich Invest in Index Funds? 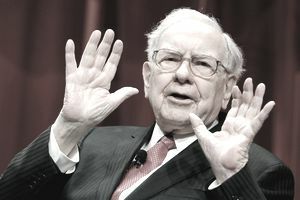 Warren Buffett might be the world’s most famous investor, and he frequently touts the benefits of investing in low-cost index funds. In fact, he’s instructed the trustee of his estate to invest in index funds. “My advice to the trustee couldn't be more simple: Put 10% of the cash in short-term government bonds and 90% in a very low-cost S&P 500 index fund,” he noted in Berkshire Hathaway’s 2013 annual letter to shareholders. Yet, despite Buffett’s advice, the wealthy typically don’t invest in the simple, low fee, market-matching index funds. Instead, they invest in individual businesses, plus art, real estate, hedge funds, and other types of investments with high entrance costs. These risky investments generally require large buy-in costs and carry high fees, while promising the opportunity for outsized rewards. Steve Ballmer, the former CEO of Microsoft, reports a net worth in the range of $32 billion. After leaving Microsoft, Ballmer bought the LA Clippers for a record $2 billion. Despite leaving Microsoft, he owns 330 million shares of company stock, a 4% share of the firm as of 2014. At today’s $69.94 price tag, that’s a whopping $23.08 billion investment. But Microsoft’s largest shareholder has other investments as well. Ballmer owns approximately $450 million in Twitter shares, plus real estate investments in Hunts Point, Washington, and Whidbey Island. That means his wealth is concentrated in a few investments — a far cry from the “invest in low fee index funds” touted by Buffett and most personal finance experts. Thomas J. Stanley, the author of The Millionaire Next Door, notes that most millionaires are business owners. So, it’s no surprise that these entrepreneurs favor investing in businesses, both their own and others. The wealthy also have the cash to buy what they love and watch it appreciate. From rare art to real estate to collectibles, the wealthy enjoy their investments while they grow in value. Hedge funds are likewise popular with the wealthy. These funds of the rich require investors to demonstrate $1,000,000 or more in net worth and use sophisticated strategies intended to beat the market. But hedge funds charge approximately 2% of fees and 20% of profits. Investors need to get huge returns to support those high fees! The wealthy also own traditional stocks, bond, and fund investments. Yet, their riches and interests open doors to other types of exciting and exclusive investments that aren’t typically available to the average person. Why Don’t the Wealthy Invest in Low-Fee Index Funds? Over the past 90 years, the S&P 500 averaged a 9.53% annualized return. You’d think the rich would be satisfied with that type of return on their investments. For example, $10,038.47 invested in the S&P 500 in 1955 is worth $3,286,458.70 at the end of 2016. Investing in the whole market with index funds offers consistent returns while minimizing the risks associated with individual stocks and other investments. But the wealthy can afford to take some risks in the service of multiplying their millions (or billions). To take one example, look at world-famous investor and speculator George Soros, who once made $1.5 billion in one month by betting that the British pound and several other European currencies were overvalued against the German Deutsche mark. Hedge funds promise extraordinary gains, although in recent years have failed to outperform the stock market indices. But they can also pay off in a big way for their rich clients. Last year, James Simons of Renaissance Technology earned his investors 21.5 percent net of fees. And Simons himself earned a handsome $1.5 billion. The wealthy are willing to risk hefty buy-in fees of $100,000 to $25 million for the opportunity to reap great returns. The one percent’s investing habits also tend to reflect their interests. As most wealthy people earned their millions (or billions) from business, they see this path as a way to continue maximizing their finances. They also enjoy art, cars, homes, and collectibles; buying those luxuries enhances their lifestyles, and the future appreciation is a nice bonus. The wealthy have massive incomes, net worths, and opportunities. Although they seek out unique investments in the hopes of spectacular returns, not all their ventures pay off with returns greater than a low-fee index fund. A simple investment strategy in low-fee index funds is good enough for Warren Buffett, and it’s good enough for the average investor.